WHETHER THIS IS YOUR FIRST holiday visit to Seattle or you’re an old pro, you’ll find there’s so much to experience in the Emerald City during this time of year. 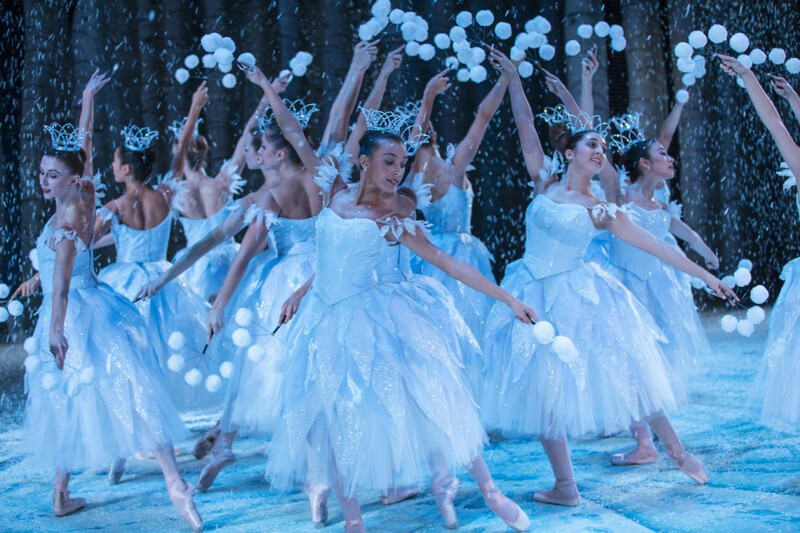 From the Pacific Northwest Ballet’s brand new performance of the Nutcracker to awaiting the arrival of the Christmas Ship, here are some of my favorite things to do in the city over the holidays. 1. Experience WildLights and the carousel at Woodland Park Zoo. 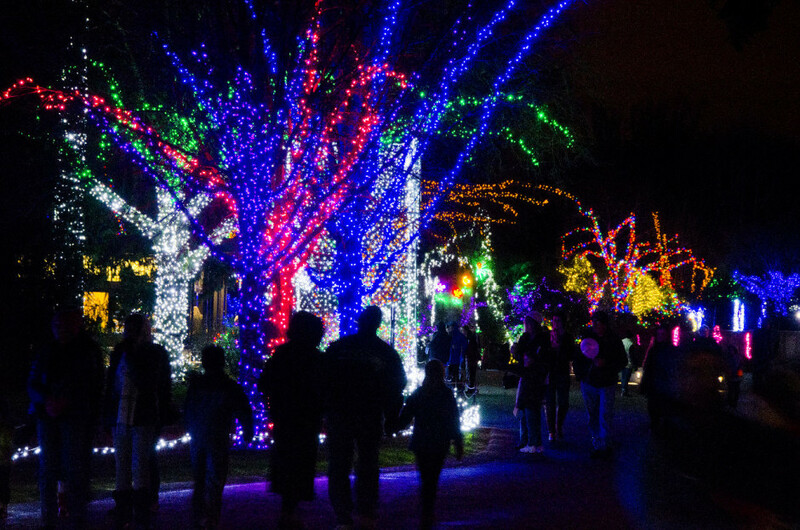 A lot of zoos celebrate the holidays by stringing up colorful lights and displays, but the Woodland Park Zoo’s WildLights celebration is one of the best I’ve seen. Every evening starting at 5:30, from November 27 to January 3, animated displays turn the zoo into an enchanted winter kingdom. And there are reindeer! Take a ride on the historic Woodland Park Zoo carousel while you’re there; built in 1918, this old-fashioned carousel recently sold its one millionth ride token. 2. Watch the Pacific Northwest Ballet perform The Nutcracker. But after 32 years of Stowell and Sendak, the company is staging a new version of The Nutcracker in 2015. This performance will feature George Balanchine choreography and set/costume design by Olivia author and artist Ian Falconer. If you’re a ballet fan, get your tickets now; they go quickly. 3. 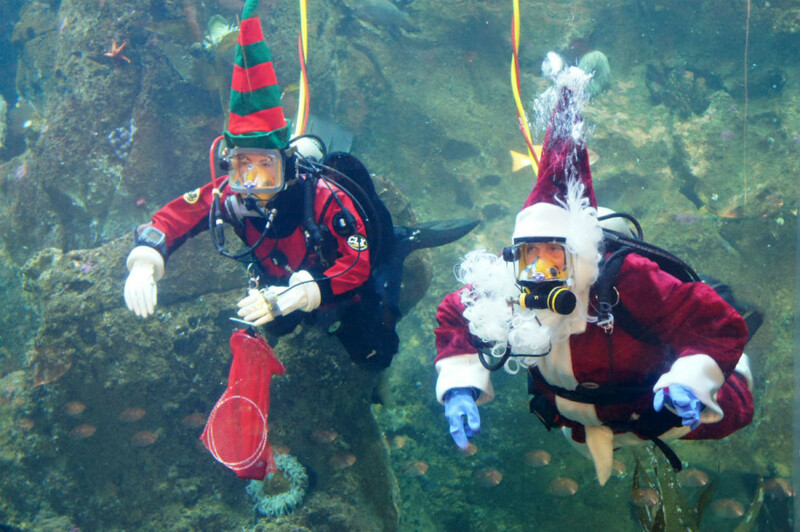 See scuba diving Santa Claus at the Seattle Aquarium. For the traditional Santa Claus experience, you can visit Seattle’s Nordstrom Santa — the downtown retailer becomes even more of a city landmark when Santa’s Workshop appears in its storefront and lines of people stretch down 5th and Pine. But if you’re going to see only one Santa in Seattle, make it the diving Santa at the Seattle Aquarium. This Santa scuba dives into the Aquarium’s “Window on Washington Waters” exhibit — full of local salmon, rockfish, lingcod, and wolf eels — and poses for pictures. The Aquarium also features holiday musical performances by kid-friendly local acts like Caspar Babypants (if you’re my age, you’ll remember him as Chris Ballew, lead singer of Presidents of the United States of America) and The Not-Its. Show up, listen to some great music, check out the otters and the octopus, and experience a not-so-typical visit from Santa Claus. 4. 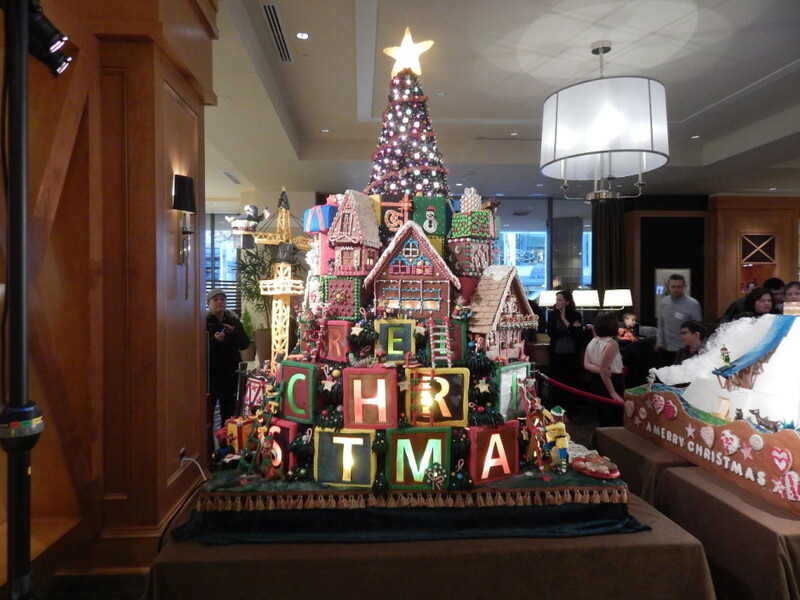 Check out the holiday displays at Seattle’s hotels. Visit at least one of Seattle’s holiday hotel displays while you’re downtown. The Fairmont Olympic Hotel hosts both a Festival of Trees and a Teddy Bear Suite. Then there’s the Gingerbread Village at the Sheraton — which, if you needed an extra incentive, is Star Wars-themed this year. The displays are free to view, but the hotels are raising funds for charity, so donations are recommended. Also, be prepared for lines — these are popular holiday attractions. 5. 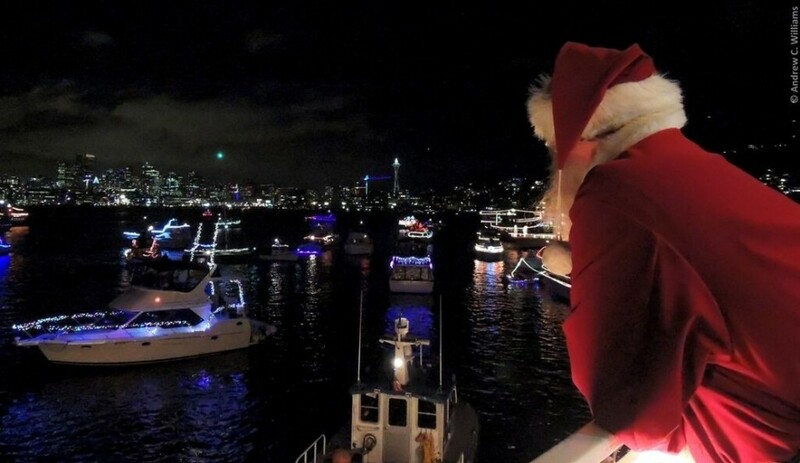 Attend the Argosy Cruises Christmas Ship Festival. Buy a ticket to go on the Christmas Ship itself and see the onboard choir performance. Ride on one of the Argosy boats following the ship. Visit one of the public performance locations onshore to watch the ship arrive. Follow the festival with your own lighted boat. However you do it, you’ll be treated to holiday music performed live by Seattle choirs as the Christmas Ship moves through the Puget Sound waterfront. 6. See Pike Place in a whole new light at Magic in the Market. Most of the holiday experiences on this list take place over several days or weeks, so you’ll have multiple opportunities to attend. Not this one. Mark it on your calendar: Magic at the Market happens on Saturday, November 28. The afternoon event includes performances by Figgy Pudding Caroling teams, opportunities to sample local cider and decorate gingerbread, and a visit from Santa right before he leads the countdown to light up the market’s 20ft holiday tree. The event is free, but you’ll definitely want to shop for locally made holiday gifts while you’re there. 7. 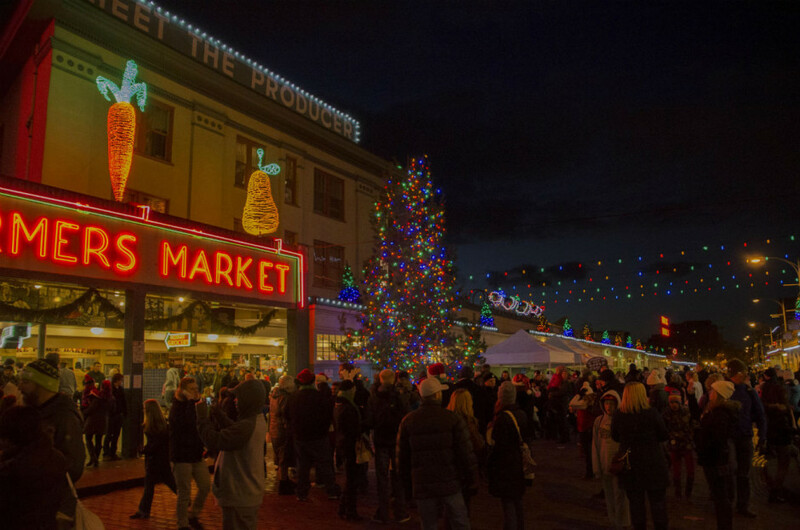 Check out downtown Seattle’s holiday shopping and special events. The annual My Macy’s Holiday Parade begins at 9am on Friday, November 27. Watch the marching bands, floats, and costumed characters as they make their way around the downtown Macy’s, then head inside for the opening of Macy’s Santaland. Later that day, you can check out the Westlake Center holiday tree lighting at 4:45pm and the Macy’s Holiday Star Lighting Ceremony at 5. Definitely stick around to see the fireworks. 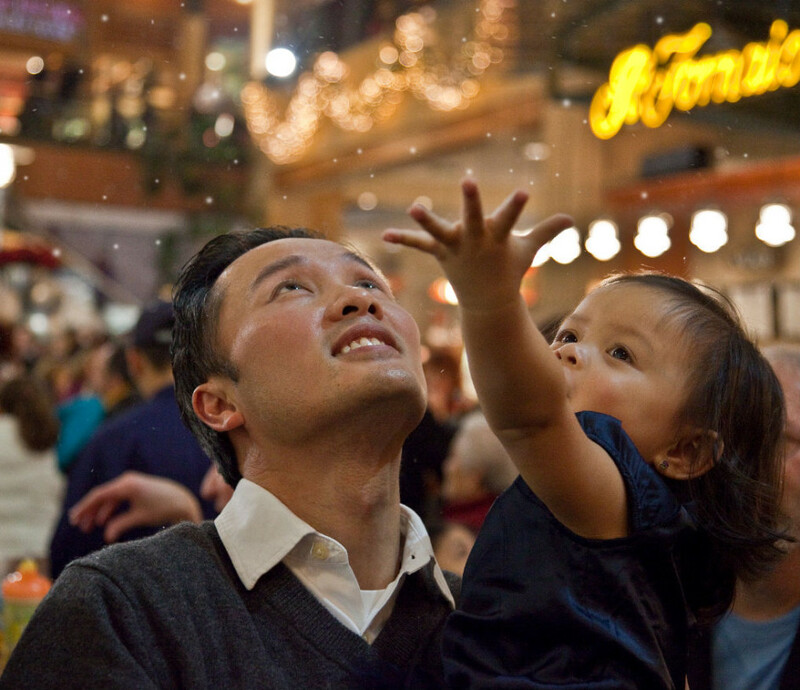 Pacific Place creates a beautiful indoor snowfall every night at 6pm. Additionally, this five-story shopping center celebrates with special musical performances and a visit from Santa. 8. Hit Winterfest at the Seattle Center. The Seattle Center holds a Winterfest celebration each year from late November to December 31. There are live performances from carolers and klezmer bands, ice skating, ice sculpting, and an enormous model train display. Set aside at least 30 minutes to walk around and examine the details of the trains and the accompanying miniature holiday village, then spend the rest of your afternoon skating, listening to live music, and devouring chocolate-dipped cheesecake truffles from the Confectional. 9. Celebrate the year gone by at EMP’s NYE bash. This event sells out every year, so get your tickets as soon as possible.